Your pet's health and well being are very important to us, and we will take every step to ensure your pet receives the best possible care at our clinic. At Oakcrest Pet Hospital, we offer a variety of comprehensive services including medical, dental, and surgical procedures. Our veterinarians are experienced with all types of health conditions and use the latest diagnostics and therapies in their treatments. We also offer grooming services, boarding, and training for your best friend. While providing first rate pet care, we also try to accommodate our clients. We offer convenient appointment times, easy scheduling, and a relaxed, comfortable office environment. We have a number of resources for you to learn about pet care. Browse our website and check out our articles and pet videos. If you want to ask a question, please call us at 316-722-4828 or email us and we'll promptly reply back to you. You can also visit our hospital anytime. Directions to the clinic can be found below. We look forward to welcoming you and your pet to our hospital! 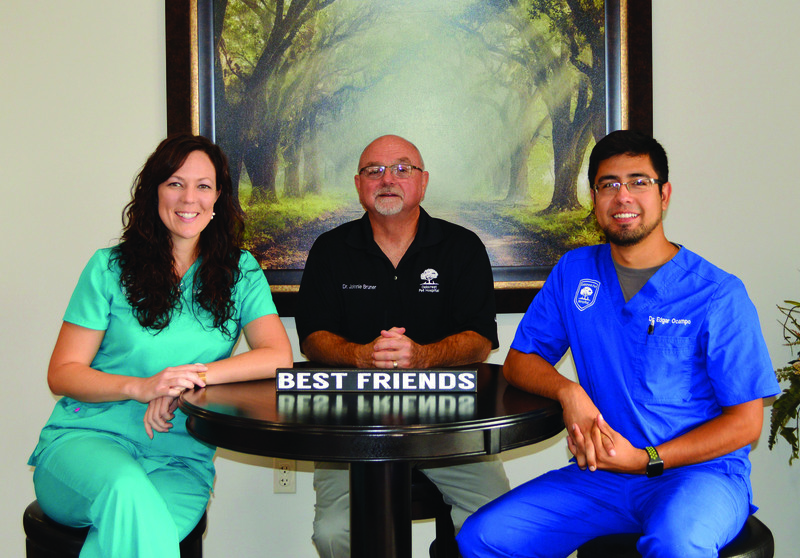 Oakcrest Pet Hospital has always felt like home. From working as a kennel assistant to becoming a veterinarian, I have always enjoyed working with the pets and people at this practice. I wouldn't want to be anywhere else! Becoming a veterinarian has fulfilled a life-long dream for me. I've wanted to work with animals ever since I was a child. Now, I get to see a variety of patients everyday and make a positive impact in their lives and their owners. "Friendly, caring, and accommodating!! I continue to drive all the way across Wichita because I can’t imagine a better group of people to care for our babies." "I have been taking my fur babies to Oakcrest Hospital for years. The staff is always kind and helpful and my animals have always had quality care from the loving employees." "My experience was amazing. I went in for second opinion. My dog was able to get treatment for healing and recommendations for long-term care. We also discussed diet and I was given much information that I did not obtain anywhere else. Great job awesome Doctor!" "Staff was very welcoming, knowledgeable, and made us feel right at home!"